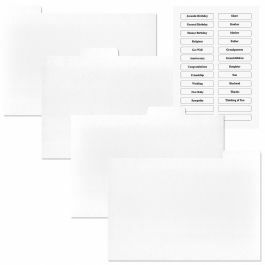 The Greeting Card Organizer Box and Labels available at Current is looking very useful. What I really am enjoying is seeing there is the frugal option to order the refills only – more on that in a minute. Before beginning, my sincere Thanks to Debbie, (one of My Three Muses). Earlier this week it was fun receiving her email in my inbox about it! While the photo is showing the box full of cards, please note that they are not including with the order. It is selling for $14.99. 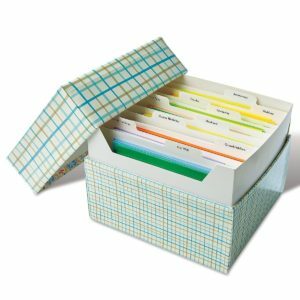 If you have an existing box or believe you want to find one yourself for using, a frugal approach is to order just the Greeting Card Organizer Refills; the list pricing is $3.99 and appears to be on sale for 25% off. I’ll be ordering just the refill since I’ve already got a great box. We are ten days away from the last day of August! For those of us with countdowns to September 1st underway – here’s to managing our plan! P.S. Stay tuned for more details on what is happening September 1st!